Thanks to the artist’s receipt for £2/16/10 that resides in the Cobbe Collection, this portrait can be dated to 1757 when the sitter, Lady Anne, was approaching her fortieth year. 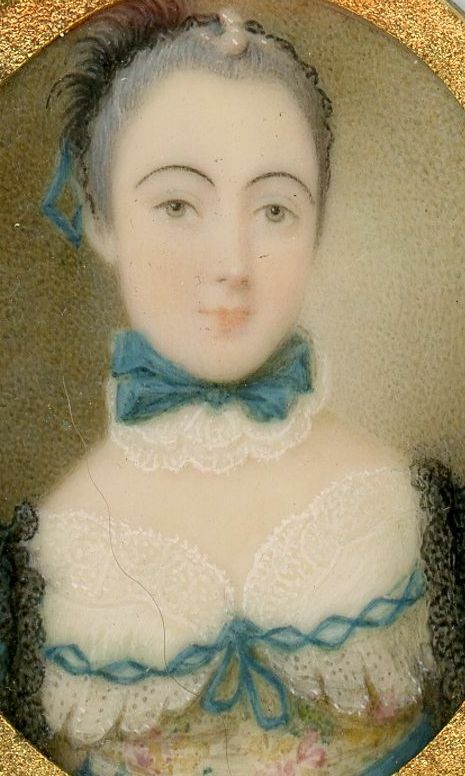 She is shown wearing a blue dress with a floral bodice (most likely of Spitalfields silk) trimmed with blue ribbon, her ruff collar fill-in secured with a matching blue ribbon bow. Her powdered hair is upswept and topped with a pearl and lace head-dress. 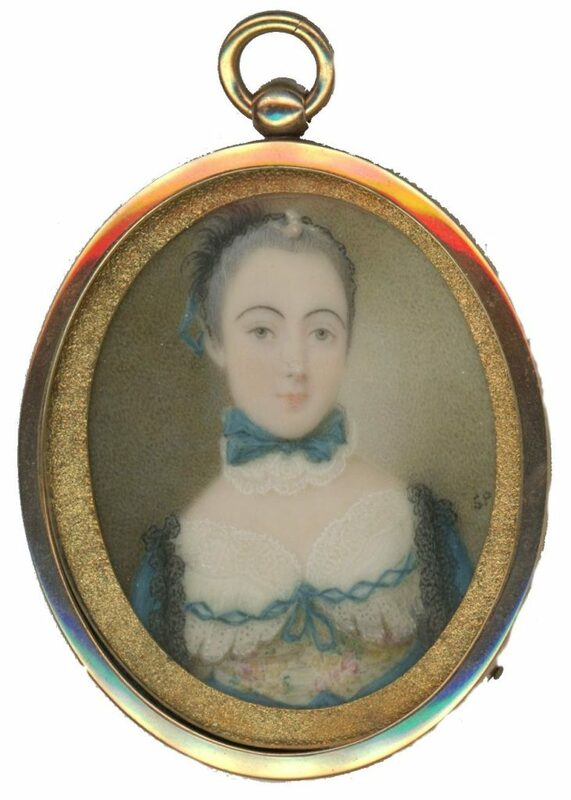 Born in 1718, Lady Anne was the sixth daughter of Marcus Beresford, 1st Earl of Tyrone and his wife Catherine Power, Baroness de la Poer. She married William Annesley, 1st Viscount Glerawly with whom she had five children. 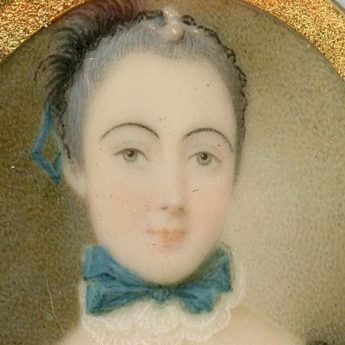 Lady Anne died in 1770. The portrait is signed SP by the artist and is housed in a later gilt-metal frame. Simonneau (later known as Simon) Pine was the son of an engraver. He worked in Bath before moving to Dublin in about 1762. Signed portraits by Pine are rarely seen.